CORNELL, NY (AP) Cornell University says it will cut down more than 2,000 ash trees in the next few years because of an invasive beetle. 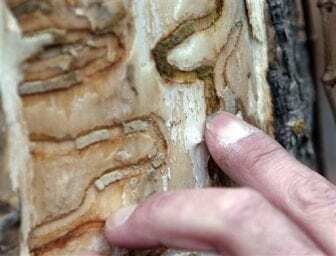 The university says there are between 50,000 and 100,000 ash trees on university grounds that are threatened by the emerald ash borer. The university is treating a small percentage with pesticide to temporarily stave off the damage, but it won’t be able to protect all of the trees. Landscape architect David Cutter tells the Cornell Daily Sun that those near buildings and walkways will be removed to prevent them from falling on people or buildings should they become infested and die. The Asian beetle was first discovered in the United States in 2002. The first New York infestation was found in Cattaraugus County in 2009.